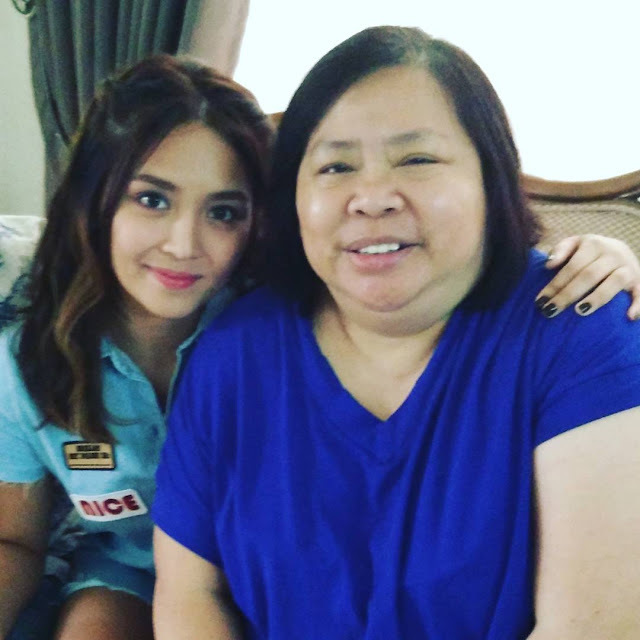 LOOK: Kathryn Bernardo Did This To A Blogger's Sick Mom And This Will Touch Your Heart! Kathryn Bernardo, Pinoy showbiz's teen queen, ss once again making waves online. This time, however, it isn;t about her relationship with Daniel Padilla or a hot photo she posted on social media. Kathryn was just revealed to truly have a heart as beautiful as her face. 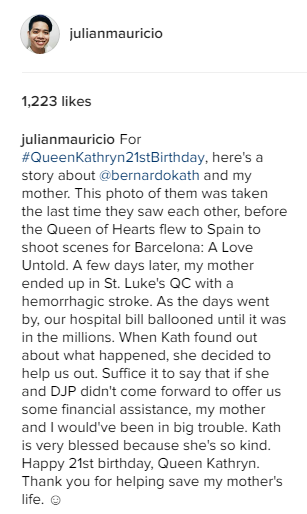 A blogger named Julian Mauricio wanted to give Kathryn a gift for her 21st birthday. However, Julian didn’t hand her a material present. Instead, he chose to share the good deed that Kathryn did for him and his mother. 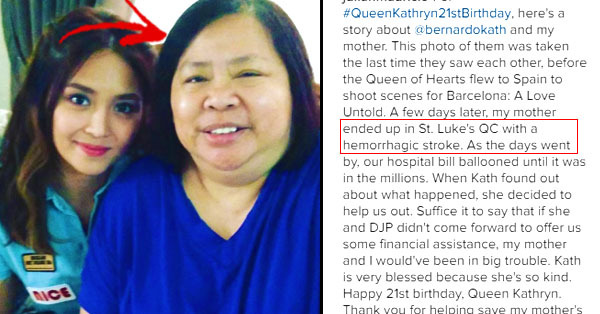 According to Julian, his mom used to suffer from Hemorrhagic Stroke, a condition wherein a weakened blood vessel in the brain suddenly ruptures causing cell and tissue damage. 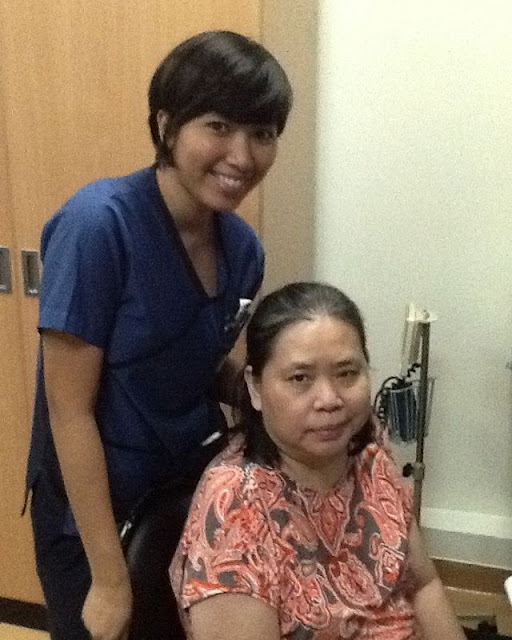 Julian said that his mom was confined at St. Luke’s Hospital in Quezon City. Due to the complicated illness, numerous procedures needed to be performed on his mother. Luckily, Kathryn found out about their problem and offered to assist them with their finances. In Julian’s post, he mentioned that this happened before the young actress flew to Spain for her Barcelona: A Love Untold shooting. He was so thankful to both Kathryn and her on-screen partner Daniel Padilla for helping them out with their problem. Needless to say, his mom is now out of the hospital and doing quite well. She is still undergoing a few therapy sessions but at least she's no longer in critical condition. Truly, there are still people around us who are good and are willing to share their blessings with those who need them most. Did you enjoy this story? Share this post with your friends and brighten up their day too!